Most of the content in Crop Protection Monthly is original material written by the experienced editorial team and other correspondents. Nearly all of them have worked in the crop protection and allied industries and many run their own businesses, mostly in the area of consultancy. Other contributors to Crop Protection Monthly have worked for trade associations and as researchers in the public and private sectors. All of CPM's contributors bring an insider's perspective and authority to what they write. Martin is a graduate in agricultural science from Leeds University. He has spent forty years working in the crop protection industry for multinational and privately-owned agrochemical producers marketing pesticides, adjuvants, micronutrients and plant biostimulants. During twenty years working for Sandoz, Martin held various sales, marketing, technical and regulatory management positions and developed and marketed products based on cyproconazole, dicamba and other active ingredients. He has considerable experience of setting up new distribution channels and facilitated the change that Sandoz made in the UK from using national distributors to direct marketing through a network of regional distributors. Most recently, Martin has been working within the contract research industry, creating pan-European project development plans for multinational clients. He has visited and worked with manufacturers in Japan, South Korea and India as well as throughout the European Union. Martin is the author of The Complete Guide to the Marketing of Agrochemicals in the EU and The Future of Crop Protection in the European Union both published by PJB Publications Ltd, Richmond, Surrey . He has been editor of Crop Protection Monthly for the past eight years. Bruce has had a long and distinguished career in industrial marketing in the crop protection and farm equipment industries, both in Europe and North America. He has a successful record of managing change and introducing new technologies which impact on food, agriculture and horticulture. A chemistry graduate of Southampton University, Bruce gained post-graduate qualifications from Wye College, University of London, and Bangor University. He is a past chairman of the Food, Drink and Agriculture Group at the Chartered Institute of Marketing and has Chartered Marketer status. Bruce is also senior partner of a family-owned arable farm enterprise in Hampshire. In 1992 Bruce established Innovation Management, a specialist business consultancy, that advises both private and public sector organisations. He is a leading expert on the development of industrial renewables and energy derived from crops as well as in the commercialisation of transgenic crops. He has been active in helping organise the Precision Farming Alliance and is a director of Sky-farm Limited, a UK company developing remote sensed imagery as an agronomy management aid. 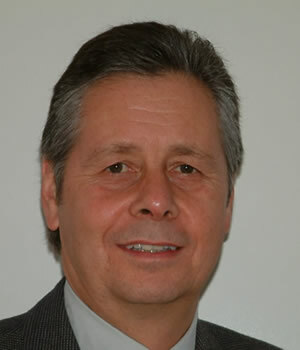 Alan is a business development consultant specialising in innovation. With a background in international crop science R&D, Alan established Nuvistix Innovation in 2004 to provide support for innovation and new ventures. The Nuvistix portfolio covers the whole innovation process from technology/market foresight and accessing funding, through creativity and knowledge management, to technical marketing. Formerly, Alan worked for Syngenta (previously Zeneca and ICI) as a global R&D project manager at Jealott’s Hill International Research Centre. His areas of technical expertise include herbicides, adjuvants, plant growth regulators, and crop physiology and agronomy. Besides working generally in aspects of innovation, Alan also works in biosciences. Recent developments in non-food crops, natural products and biofuels are a particular interest. Alan has a PhD in crop physiology from the University of Leeds and an MBA from Henley Management College. Peter has an M Phil in horticulture from Reading University. For most of his career he has worked for the UK government on various aspects of pesticides registration. He has worked closely with both the European Commission’s Health and Consumer Directorate (DG SANCO) and the European Food Safety Agency (EFSA) in developing procedures for the completion of the EU review of existing active substances, and for the evaluation of new active substances. He has been a member of a number of DG SANCO’s expert groups, including Stage 4 EC Review, Post Annex I Issues, Annex I Renewal and has worked closely with DG SANCO and EFSA officials on procedural aspects of registration procedures. He has provided high-level training on EU procedural developments and on institutional structure for a number of the newer EU member states and candidate countries. Peter joined JSC in April 2009 as Director of Regulatory Affairs following his retirement from government service. José María is a graduate in agricultural science from Seville University. He started his career in crop protection at the Andalusian research centre, Rancho de la Merced. Here he had responsibility for a large collection of vines cultivars and conducted crop protection research on a wide range of vine pests. José María has also worked as a Field Biologist for DuPont de Nemours during which time he was responsible for setting up field testing facilities in the southern part of Spain for the evaluation of new fungicides and insecticides. In recent years he has worked with a large contract research organisation as a Senior Trials Co-ordinator with additional responsibility for sales and marketing throughout Spain. Krishnamurthy has an MSc in chemistry from Madras University, India, and has more than two decades of experience in the pesticide industry. He was chief chemist at Coromandel Indag Products, where he worked on the development of isoproturon and deltamethrin formulations from 1981 onwards. Krishnamurthy worked for Montari Industries Ltd, New Delhi, a company supported by the Indian pharmaceutical giant, Ranbaxy Laboratories Ltd, from 1984 until 1999. He held various senior management positions in quality control, product development, global registration and international sales. In 2000, Krish started his own marketing, consulting and publishing company, Mahamaya Life Sciences, which publishes the international magazine Agrolook. Mahamaya is the sole sales agent for BCPC publications in India. Elaine is a graduate in horticulture from Wye College, University of London, and has an MSc from Toronto University. She worked for May & Baker and Shell International Chemical Company before becoming a specialist writer and publisher in the crop protection sector. Elaine was the founding publisher and editor of the International Crop Protection Directory, the Who's Who of the crop protection world. The rights to this directory were acquired by Agricultural Information Services Ltd, as reported in the October 2003 edition of Crop Protection Monthly.